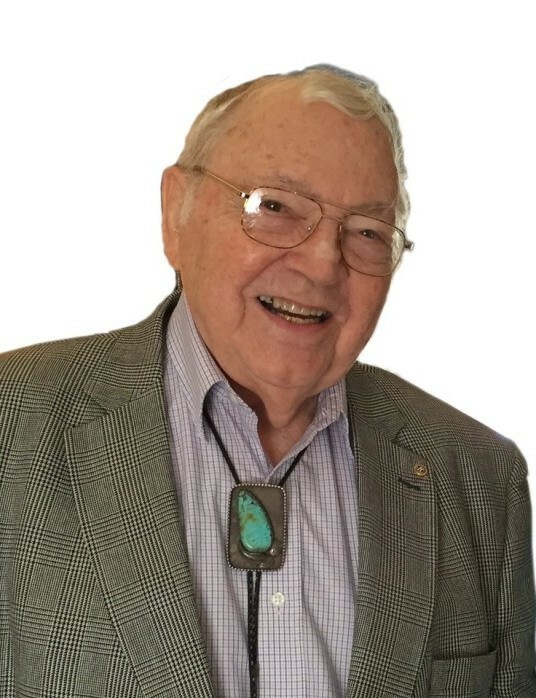 Francis George Guither, age 96, died on Tuesday, March 19, 2019 at Good Samaritan Home of Quincy, Illinois. Francis was born to George and Anna Guither on July 7, 1922 on a farm near Walnut, Illinois. He attended a one-room country school for 8 years, then Walnut High School, North Central College, and finally ended up going into seminary. He served for over 45 years as a minister throughout Illinois -- primarily for the United Methodist church (formerly Evangelical United Brethren), with the exception of a couple of one-year sabbaticals – one when he sold Thompson Chain Reference Bibles throughout Central Illinois on his bicycle. He loved to travel, and he took the family across country in creative ways. He invented a car rooftop tent system for simple camping, and also designed and built a travel trailer. In addition to traveling through almost every state, his travels also included two trips to the Holy Land. Francis loved working with tools, and anything mechanical or electrical. He built two homes – one in Weyauwega, Wisconsin, and one in Nauvoo, Illinois. He built a grandfather clock in 1972 that still runs perfectly. He designed and created a rear projection system in his church for illustrating his sermons back in the 1960s. The Conference sent him to other churches to advise them in the use of visual and audio aids. In later years, he took up the scroll saw, creating beautiful works of art. He married Gloria Taylor in 1945 and they had three children: Vaneva, Geoffrey, and Peter. In 1972, he married Lucille Roderick Williamson and they were together until her death in 1994. He has been married to Katharine Wendorff Mensendick for over 22 years. Together, they have spent many happy years at Good Samaritan Home, where he played a pretty mean game of pool. Katharine survives him, as do many children, grandchildren, and great-grandchildren. A memorial service will be held on Monday, March 25, 2019 at 9:00 a.m. at Vermont Street Church, 818 Vermont St, Quincy, IL. Memorials may be directed to the Vermont Street Church or a charity of the donor’s choice.